This week we complete our set of three Irish slip jigs with The Dusty Miller. There are several tunes with this title, some of which are slip jigs and there are different versions even of these. I believe there may have been words to go with the tune at one point. A simple tune with very few notes, but plenty of rhythmic interest, it is essentially a big riff that can go well in a set of tunes to help build up momentum, interest and anticipation. In our set, The Dusty Miller will be followed by The Snowy Path and then The Butterfly. Resources are now up at The Flow. 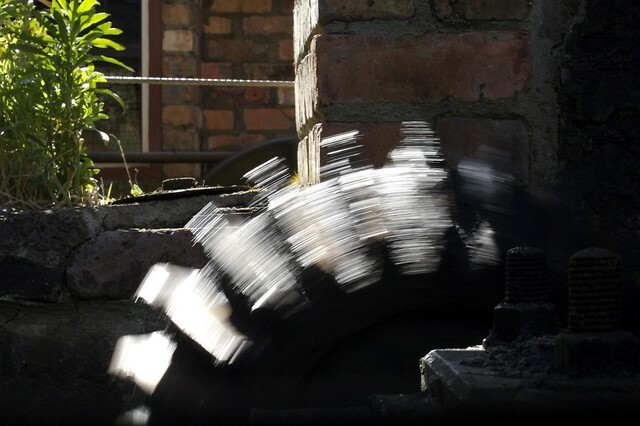 Photo of spinning cog from Patterson’s Spade Mill by Tom Parnell, some rights reserved. This entry was posted in classes, Community, Fun Flute, The Flow, Workshops and tagged classes, community, flute, improver, MP3, portobello, resources, slip jig, tin whistle, traditional music. Bookmark the permalink.